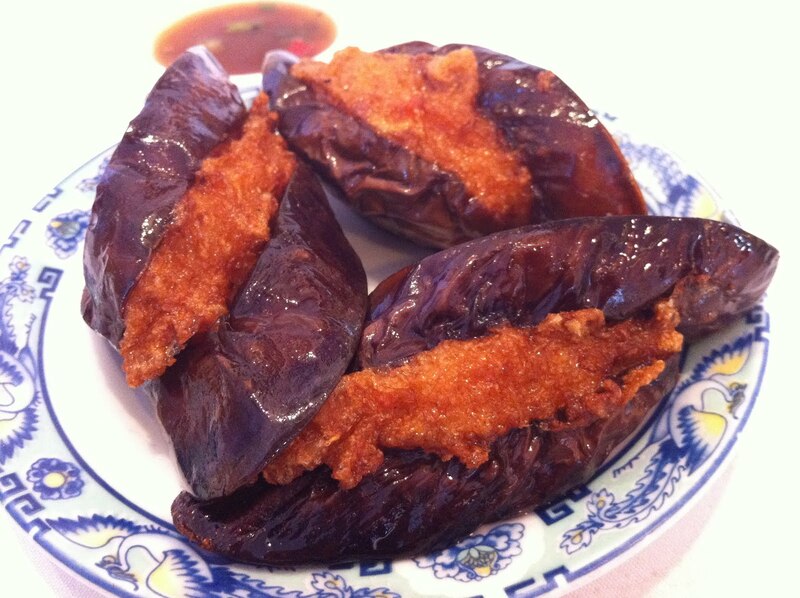 Deep fried eggplant slices filled with a shrimp mixture. This entry was posted in 7x7 Big Eat SF, Restaurant, Ton Kiang and tagged Chinese, dim sum, eggplant, shrimp by vicentesf. Bookmark the permalink.